SEVA offers free and confidential counseling to anyone having emotional and mental problems irrespective of religion, caste, status or gender. Anyone who is facing marital problems, issues pertaining to parenting, relationship, career, teenage issues, etc. could walk in and talk in total confidentiality to our well trained, sensitive, non judgmental volunteers who would listen and help explore various available options and also help in deciding how to resolve them. 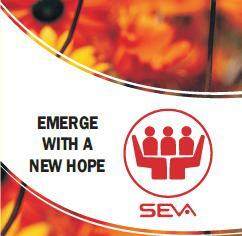 In essense SEVA helps people rediscover Happiness & Peace. There may be callers needing more specialized attention like by a Psychiatrist, at a De-addiction Centre, or by a Legal counsel, etc. 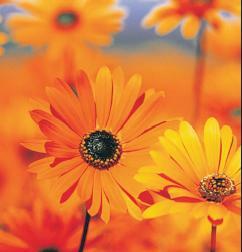 Such callers are referred to the appropriate agency. We maintain a database of such agencies and we continually update this database. We may continue to offer counseling support based on the need while the caller's issue is being addressed by the professional agency. Taking counseling services to institutions whose members cannot come to Seva centres on a regular basis e.g. orphanages, old age homes, destitute homes, Girls and Boys hostels of govt. schools, Schools for the blind, Home for the disabled, Senior citizen's centres, and other institutions where no in-house counselor is available. A fresh batch is inducted each year through our 3 days in-house intensive training workshop for new volunteers which requires complete attention and participation. After an introduction to general aspects on Mental Health, the initial part of the training helps the volunteers to gain an awareness about themselves. This part helps the volunteer to understand the kind of beliefs and values that are lying hidden and to ensure that those do not come in the way of counseling a caller. This helps volunteers to become non-judgmental about their callers. Then they are provided detailed overview of the process of counseling and are made to perform role plays to ensure better understanding of 'empathy'. The trainees are taken through a series of practice sessions to learn different situations and appropriate responses and prompters to help clients come out with their problems fully, analyze their situation, to think of options, and to empower them to decide on their own decisions. Different psychological problems are described and symptoms to look for to classify a problem is also introduced. Our training does not end just with attending the training workshop. In order to ensure quality counseling, each volunteer has an assigned supervisor. The supervisor monitors and guides the new volunteer by providing constant inputs and by sharing different case studies. The supervisor helps ensure that the process of caller handling becomes most beneficial and the volunteer is slowly becoming independent to handle callers on his own. At SEVA, ongoing learning is a way of life. We have a good library of books, have a computer with broadband connection for accessing links and self learning. We regularly invite eminent personalities to give presentations. These go to add to the skills and knowledge of our volunteers and in turn help offer better services.